In your interview with Author Turf, you talked about the dangers of works that are "dismissed as derivative." Can you explain what it means to be derivative, and what, if anything, that writers can do about it? Early on, one thing I kept hearing was that my work was original with a distinct voice. It was what made me stand out. What had editors coming up to me after a reading at the conference. Regardless of the initial pass, my work always earned me a follow-up, 'please send further works when ready.' I encourage my fellow writers, whether it’s your first query, or third agent, to always use your unique experiences and voice to tell your story. Trying to write the next TWILIGHT or HUNGER GAMES is a waste of time. The world doesn’t need another Stephanie Meyer or Suzanne Collins, they need you. Your heart, your fears, likes, pain and joy. Put yourself in the story. Ask yourself this question: What is the story I’m too scared to write because it’s too personal? The story that’s just for me. The story that changed my life? That’s the story agents and editors are dying to read. Excellent advice. NELIEM deals with the deceptive nature of perfection. How did you know this needed to be a part of Oriana's story? In Oriana’s world there are two classes: The people who rule, who seem perfect, and those who are ruled, scattered people who have persevered, only to live in destitute. Oriana falls into the later category. Her people's lives are controlled, their futures pre-selected. While she’s forging for her food, her rulers are wasteful, taking for granted their elevated position. Because of this, she views everything as the glass empty, envying and hateful towards her oppressors. But as the story unravels, her vision starts clearing. She begins to understand the truth behind the fake smiles and pretty dresses. How many of them are merely broken pawns. And their beauty but a mask. And that she has more in common with people she regarded as enemies, who also have suffered unspeakable horrors. With her newfound empathy, she’s able to do what she previously thought impossible: rise above her circumstances to become the person she was always meant to be. Such a great story. 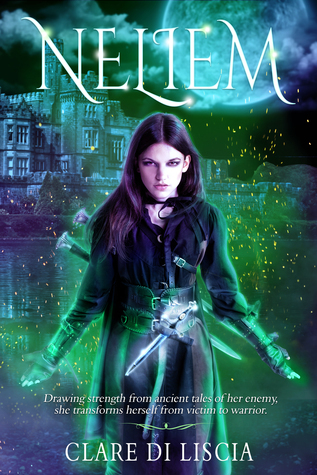 And I love NELIEM's cover! What do you think are the necessary elements of a good book cover? A great cover captures the essence of the book, drawing you in. It’s as if you’re compelled to pick up the book and read the first page. 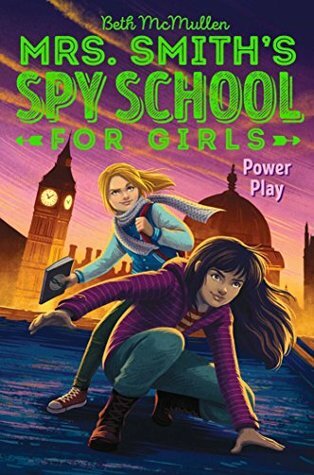 Luckily for me, my publisher Georgia McBride, knew exactly who could combine the elements of fantasy, girl-empowerment, and intrigue to draw in my readers. Wonderful. What are some of your current projects? Currently, I’m finishing the 4th draft of an older contemporary YA romance. It deals with themes of self-worth and prejudice, telling the story of a girl who’s recently escaped abuse to accidentally find true love. It’s nearly done. I also have a finished MG modern day version of Huck Finn. Both have been workshopped with positive feedback, so hopefully soon they'll find the right editors. This post can also be viewed here. 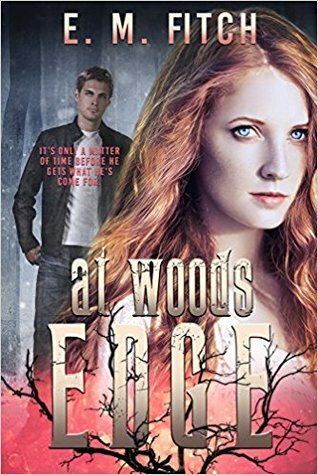 Recently, I featured E.M. Fitch and her fascinating shape-shifter series. 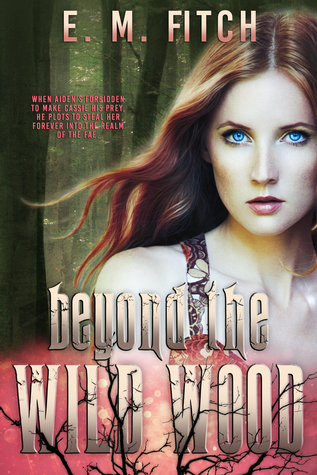 The final book, BEYOND THE WILD WOOD, is out now! I am a sucker for dragons. In anything. 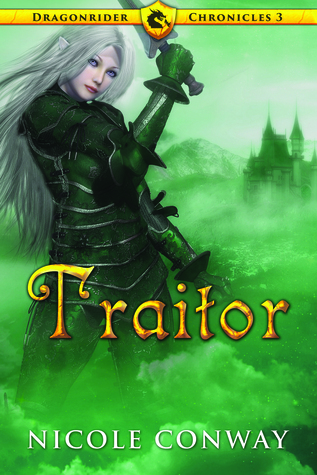 So, suffice to say, when I found out about Nicole Conway's The Dragonrider Chronicles series (by way of The Dragonrider Legacy series), I was done for. Victory is written in the blood of the brave. As the armies of the Tibran Empire continue to march across Maldobar, a path of scorched destruction and despair is left in their wake. Even with the formidable princess, Jenna Farrow, leading the charge, the strength of the dragonriders is waning. 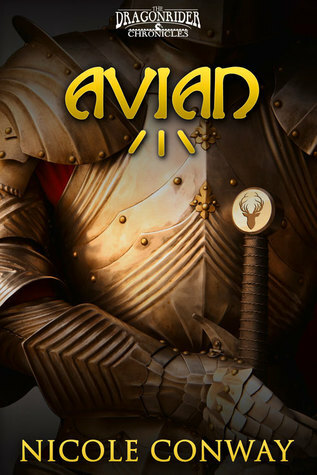 Tibran victory appears inevitable — especially after Princess Jenna and Prince Aubren are taken hostage by the infamous Lord Argonox. Separated from her brother and tortured for information, Princess Jenna refuses to bend to the iron will of Argonox. But her strength and resolve may only last so long.Held prisoner in his dark tower, it would take a miracle to set her free — or perhaps a pair of demigods and their dragons. 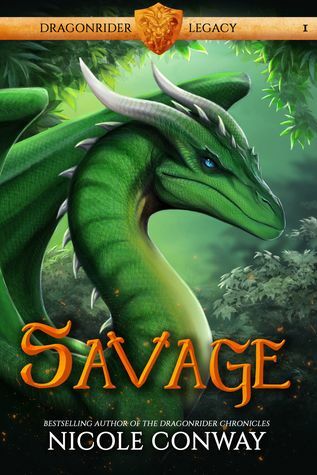 With revived dragonrider legend, Jaevid Broadfeather, at his side, Reigh must now make a choice: face the truth about the origin of his dark powers,or turn his back on world in need. But throwing off a lifetime of shame and self-doubt is not so easily done — especially when the cost of failure means the destruction of the world. The long-awaited hero has awakened. The ancient spirits are stirring. The dark goddess has chosen her champion. But is he ready to embrace that rite and become the Harbinger Maldobar needs him to be? According to your website bio, you are represented by Frances Black of Literary Counsel. How did you know that Fran was the right agent for you? Fran and I wound up together sort of by accident. I was working with another agent within the agency previously, but that agent quit very suddenly and intended to drop her entire client list. Fran approached me and wanted me to continue to work with her instead, and I agreed. Turns out, we get along and work together much better than I ever did with my previous agent! We are kindred souls in that we are both enthusiastic, driven, and a little bit stubborn. I truly appreciate Fran’s honesty. She will tell me when I can do better with a story, and pushes me to be a better writer. In my opinion, that’s what makes a good agent great — not just wanting to snag new contracts but also working to shape their client into a better author with each new story. Well said! 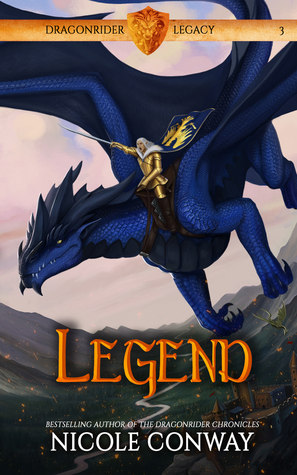 LEGEND, the third book in The Dragonrider Legacy series, is set to release on May 7, 2019. How did you know that there was more of this world to expand on after The Dragonrider Chronicles finished? In my head, Jaevid’s story had always continued past Chronicles. I just wasn’t sure I’d ever get to tell it. 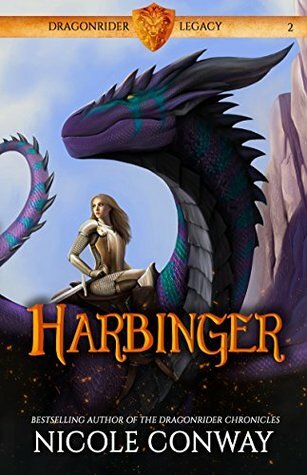 But thanks to the continued support from Georgia McBride and the lovely folks at Month9Books, I have gotten the opportunity to finish out his tale through the Dragonrider Legacy and now through Dragonrider Trials and give him the ending he deserves. It’s been a blast from beginning to end, and it will be super hard to say goodbye. I bet it will! I love how you offer additional activities and materials for students on your website. How did this idea originate? I come from a background of educators and homeschooling, and I also get to meet a lot of parents, teachers, and librarians during signings and tours. They are always hungry for a way to make reading fun and also educational. I agree with them wholeheartedly and love to support the public, private, and homeschooling communities any way I can. Providing discussion questions, puzzles, and activities a way to get students and young readers thinking about the story in new ways. It's helpful for us part-time tutors too! What are some of your current projects? Oh dear. So I am notorious for having a million irons in the fire when it comes to writing. Currently, I’m finishing up the second in my Spirits of Chaos series, have just handed in the second in my Mad Magic series, am doing edits on the first Dragonrider Trials book, drafting a new fantasy series, and writing a fun teen scifi adventure! One of these days, maybe I’ll learn to scale it back a little haha! Where did your fascination with zombies begin? I can’t remember a time in which I wasn’t fascinated with zombies! What I love most about the zombie genre is how both writers and readers can explore moral and ethical dilemmas in a black and white world. Everyone is pretty much on board that it’s totally fine to kill a zombie! (Me included.) So creating a world in which this is questioned, or a world in which you can use that assumption to explore dark themes is, for me, pure fun. I can't argue with that! 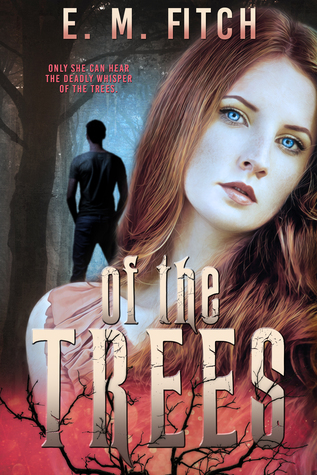 BEYOND THE WILD WOOD is the final installment of the Of The Trees Series. In what ways, if any, did Cassie's journey develop in ways you didn't expect? Cassie surprised me toward the end of this series. She became way more badass than I ever thought she would. I began this journey with a terrified teen, and in the end, she became a young adult—full of doubt and fear and uncertainty—but owning her actions and thriving in the face of her fears. I’m so proud of Cassie, and I’m proud of her best friend, Laney, too. Sometimes the journey is about letting go, about knowing when it’s time to move on, and about realizing at the same time that those we love can never truly be lost. These are hard lessons, and both girls came full circle in a way that surprised and delighted me. These characters will forever hold a fond place in my heart. And it proves that hard lessons can often be the best ones. You've also published short stories. What do you like most about writing shorter fiction, and what do you like least about it? Publishing short fiction is hard! I truly believe that the shorter something has to be (like a blurb or a title) the harder it is to write. Short fiction is a wonderful outlet for the strange thoughts that filter through my brain, and they take a lot of dedication to get out and onto that paper. I love writing short fiction. 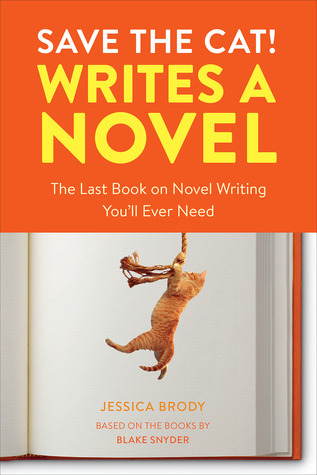 But novel writing is my favorite. I love breathing life into these bizarre worlds I find myself in, and I love having the space of a novel to do so. Indeed! What are some of your current projects? I’m working on several projects, but I’m most excited about my novel tentatively titled The Monsters We Hide. 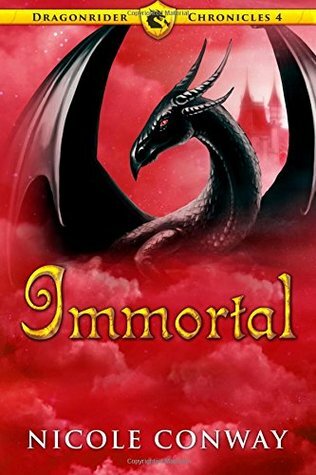 It’s a Dark Fantasy YA novel that explores the topic of suicide, depression, and the feelings of worthlessness that can unfortunately overwhelm a person. Mental Health Awareness is a passion of mine. I feel it’s so important to feel seen, really seen, and complex books and characters can do that for a reader. For me, good books make me feel less alone. I had the pleasure of meeting Beth McMullen at Kepler's Bookstore last fall for their "Mighty Middle Grade" event. I love stories that take place in boarding schools, and the voice in this story is extremely engaging. I was sucked right in! Abby and her classmates have all been invited to Briar Academy to participate in The Challenge, a prep school competition where teams compete for prizes and the glory of being the best of the best. While there, they figure out their nemesis, The Ghost, is using Briar as headquarters to plan a devastating attack on his enemies (a.k.a. : pretty much everyone) using a brand-new invention Toby developed. And this time, The Center and Mrs. Smith will be of no help as Abby suspects there is someone working for The Ghost on the inside—and they can trust no one. You have a parakeet named Zeus. (What a great name for a bird!). How did you end up with a parakeet for a pet? We had just lost our 20 year old cat and everyone was really missing her. My son had seen the parakeets in PetCo as a little kid and always wanted one. We were pet free so I figured why not? My son’s best friend had Poseidon so naturally…Zeus. Zeus is the loudest 2 ounce creature on the planet. He hates action movies so much we have to cover his cage in order to hear. About six months after we got Zeus, we somehow ended up with 2 kittens. Cats and birds living together. Yes, it’s exactly as it sounds. Ha! Somehow I'm reminded of that Bill Murray line from Ghostbusters. 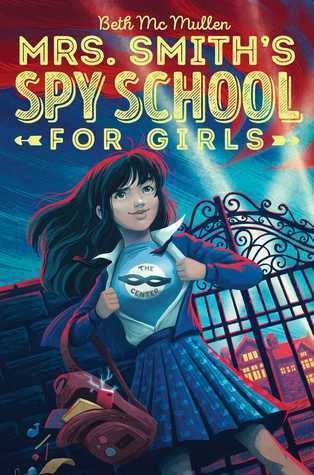 In MRS. SMITH'S SPY SCHOOL FOR GIRLS, Abigail is faced with some difficult choices. Did her story come to you right away, or did it gradually shape itself? I went to boarding school as a kid and I always loved the idea of using that setting in a book but I couldn’t figure out how. I tried with an adult thriller but it was awful and I ditched it. Later, I made another pass with something more YA but that too was missing something. It wasn’t until I brought the age of the main character way down to twelve, which was completely new terrain for me, that the story started to work. I wrote a draft of that and let it sit for more than a year because I wasn’t sure what I was doing writing middle grade fiction. When I eventually came back to it, I was surprised that it wasn’t terrible. A few drafts later and I managed to sell it as a series. That makes sense. I've also heard that it's tough to get an authentic voice in Middle Grade. In what ways did Abigail's voice feel right to you? I like to describe Abby as the kid I wish I had been. She is bold, fearless, a little reckless, loyal and smart. She will run straight at trouble and figure how how to manage it when she gets there. I think the key to writing authentic middle grade characters is not to dumb them down or try to force them to sound young. Abby and her friends sound not unlike adults but the subject matter and the situations are different. It’s also important to find a way to listen to actual kids. When my teenaged kids have friends over, I blatantly eavesdrop, just to pick up the cadence of their speech and what topics have got their attention! Sounds like a great method, as long as your kids don't mind! What are some of your current projects? 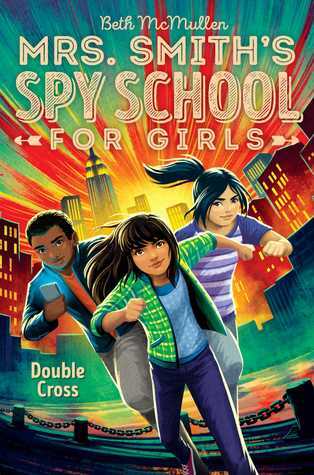 Mrs. Smith’s Spy School for Girls wraps up this summer, when DOUBLE CROSS comes out on August 6th. I’m also working on How to Find Lost Things, a new Middle Grade series from Simon & Schuster/Aladdin, coming summer 2020. In it, twelve year old Lola Benko is desperate to find her missing father, a famous archaeologist who was last seen in hot pursuit of the magical Stone of Istenanya, which is not supposed to exist. But Lola quickly discovers finding a missing person is no easy thing. She will have to go to extraordinary lengths if she ever wants to see her father again and accept things she never thought possible. Like Mrs. Smith’s, this series has action, adventure, friendship and humor. 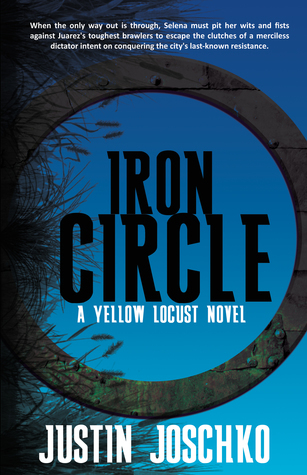 Happy release day to IRON CIRCLE, by Justin Joschko. The book was also featured here. Recently, you posted on Instagram about a recent writing retreat you went to. What do you love most about writing retreats, and in what ways, if any, do they help your writing process? I’ve gone on two writing retreats this year, and I’ve really loved both of them. Any change of environment can really help spark new ideas for me, but when you pair that with being in the company of other writers, the experience becomes even more valuable. Writing is usually so solitary, but on a writing retreat, you’re surrounded by people who understand the process and who are all choosing to take time away from their day-to-day lives with the specific goal in mind of fostering creativity. That creates a really amazing dynamic! We all worked during the days (it’s really motivating to be in a room with everyone working away on books all around you! ), then spent the evenings eating dinner together and socializing. My favorite night was when we all bundled up (it was winter) and made a fire outside. We sat around it eating s’mores and each reading a chapter from our current work in progress, then discussing it. It was so immensely helpful and fun—and so different from sitting at home by myself on any given day, wondering how people will respond to what I’m writing. I feel really lucky to have shared that experience with other writers. What a great experience! And it's true; being around other writers is one of the best forms of inspiration. 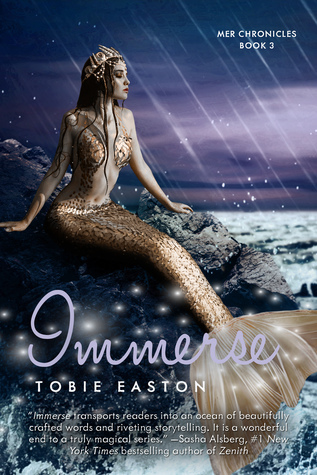 In our last interview, when talking about IMMERSE, you said, "The series was always meant to be a trilogy; it’s exciting to finally get to write storylines I’ve been planning for these characters for several years." 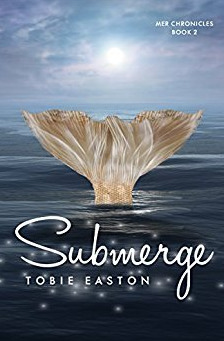 Now that IMMERSE is out, what will you miss most about writing this series? Spending time with the characters! I already do. It’s strange, but I miss them as if they were real people who I’d spent nearly every day with for years and now don’t get to see anymore. 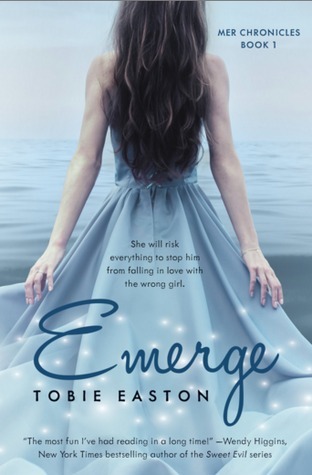 When I first started my new book with a whole new cast of characters, every time I’d get in the mindset to start writing, I’d start picking up conversations from my Mer Chronicles characters instead—almost like I was tuned into the wrong radio frequency. Slowly but surely, I’ve transitioned to hearing my new characters, but I definitely miss Lia, Clay, Melusine, and Caspian. Sometimes, I still find myself writing scenes for them in my head as I’m falling asleep at night. I’m so excited for readers to see where these characters’ stories go in Immerse—I hope they stay with you after you’re done reading, too! I'm sure they will! What do you think are the necessary elements of a good story? There are so many! As a writer, details are really important to me. My favorite fictional worlds are the ones in which every detail is thought through, and some that seem insignificant end up mattering in unexpected ways. Vivid worldbuilding goes hand-in-hand with that because it’s the details that make a world feel real. I also find character arcs essential (and fascinating) because a story only matters if living through it has had an impact on the characters we care about. Well said. If you could tell your younger writer self one thing, what would it be and why? That’s a cool question! I’d say, “Go for it!” Writing and the road to publication can be full of self-doubt, but if you don’t go for it, you’ll never get to experience anything that comes next. You know, I should still tell myself this every day.